Bearings can mean ball bearings, needle bearings, and roller bearings. Needles are just thin long rollers. Ball bearings can mean individual loose balls. Or the balls can be in a ring, separate from the inner and outer races, in a “3-piece bearing”. Or everything can be all in one piece, in a “one piece bearing” or “cassette bearing”, the most common kind. 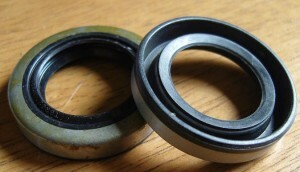 The one-piece bearing shown at left, is also known as “full contact” because the balls touch the races in two wide arcs. It is also called “radial” because the center of the contact area is perpendicular or radial to the rotation. 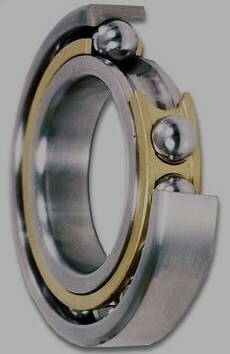 Three of the bearings listed below, Bo15, L17 and E20, are “angular contact” where the contact angle is not 90 degrees to the rotation. Angular kinds are for carrying some side loads as well as radial loads. Oil Seals are for sealing rotating or sliding shafts where they emerge from a sealed compartment. Fork seals and shifter shaft seals are sliding type. Engine seals are rotating type. Besides keeping oil from leaking out, some are also pressure seals, keeping air in (or out). On a two stroke engine, the crankshaft seals are very important because the crankcase has the mist of gasoline, oil and air inside it. When the crank seals leak, the engine won’t idle or accelerate good. The seal inner lip has a circular thin coil spring that holds onto the rotating shaft. Click to enlarge and see the little coils of the circular spring. 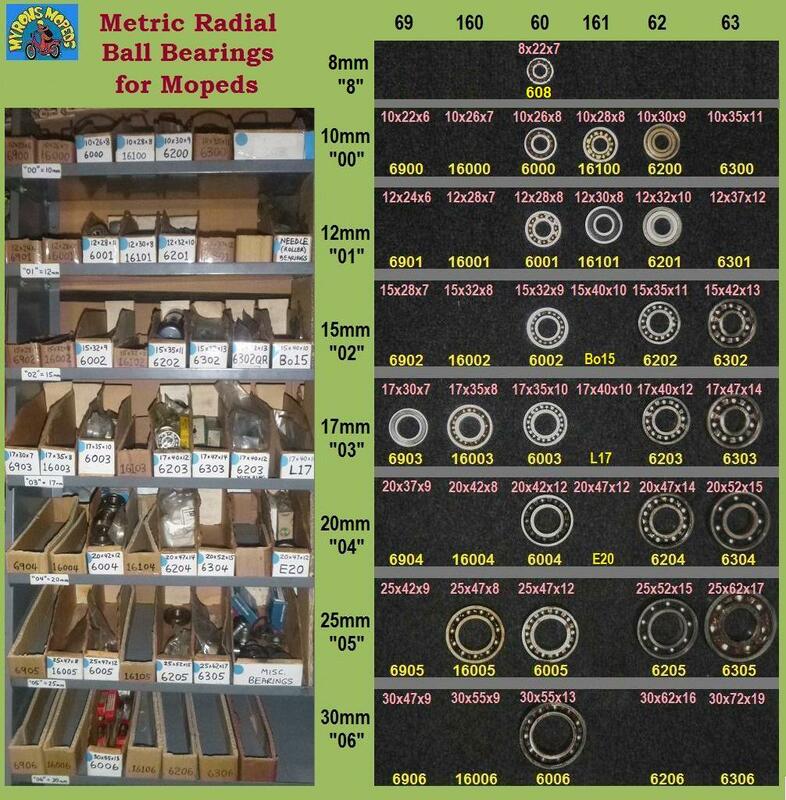 Metric seals are specified by their inner, outer, and thickness, in mm. You are currently browsing the archives for the Bearings category.